Panelists (L-R): Ana Gupte, John Ransom, Sarah James, A.J. Rice. Photo by Donn Jones Photography. 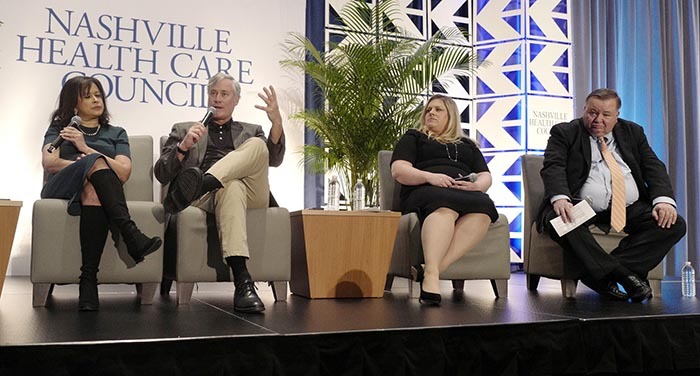 More than 600 senior health care executives gathered yesterday at the Nashville Health Care Council's signature event, "Wall Street's View on Prospects for the Health Care Industry," to hear top analysts discuss the investment outlook for the coming year. "If you look at the last eight years, health care has outperformed the S&P in seven of those," said Ransom. "As we move into 2019, we think that health care earnings will need to hold up better than the overall market for health care stocks to continue to outperform the S&P." "The best performing sector in health care last year was managed care," Rice said. "Some of the fundamental themes leading to its growth include steady cost trends, growth in government enrollment and consolidation. I expect to see consolidations within this sector to continue into 2019." "Post-acute care is a really exciting sector of health care right now. There's some real opportunity to see some disruption in rates. Companies investing in technology in this sector will be able to gain market share from competitors by reducing overall costs," James said. "For managed care companies, building out new capabilities in areas such as home health, hospice and primary care is key to serving the growing Medicare Advantage Senior segment," said Gupte. "There is a huge reshaping of the care delivery landscape through innovative primary care. The focus is also around making it easier for working Americans to navigate the health care landscape for convenient access to care while minimizing the out of pocket cost burden." "The pharmaceutical sector is the one sector of health care where costs have not gone up substantially, but where you see D.C. focusing most of its attention," saidRansom. "The proliferation of high-deductible health plans and consumers seeing the actual costs of their drugs for the first time is what is leading to the increased scrutiny around drug pricing," Rice added. "It's not that the inflation rate of drugs has accelerated." 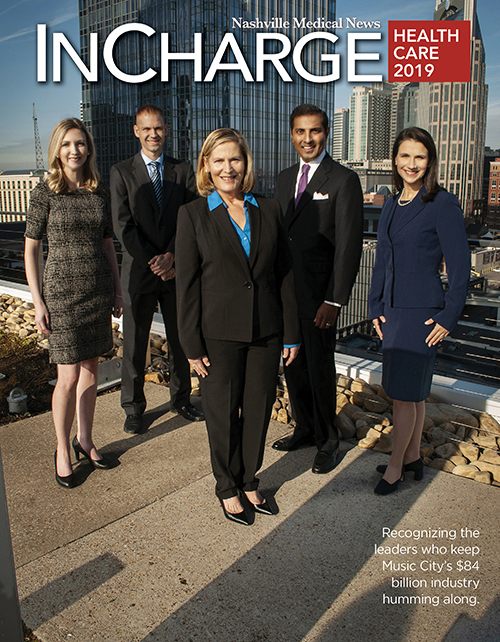 Panelists identified United Health, Anthem, Cigna, Humana, Centene, DaVita and Nashville's HCA as companies to watch in 2019. "Health care companies based here in Nashville continue to provide significant contributions to the overall industry landscape. Wall Street analysts look to what's happening in Nashville when they are trying to get a pulse on the industry, and the Council is proud to host this important discussion as we look to the future of the industry," said Hayley Hovious, president of the Council. Bass, Berry & Sims served as presenting sponsor of the program with Alvarez & Marsal, Cumberland Pharmaceuticals, First Tennessee Bank, GE Healthcare, Gresham Smith, and Jarrard Phillips Cate & Hancock as supporting sponsors. 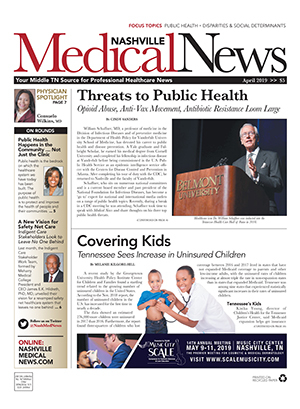 The program's media sponsor was Modern Healthcare.